Re-live seasons that resulted in a conference and/or national championship. 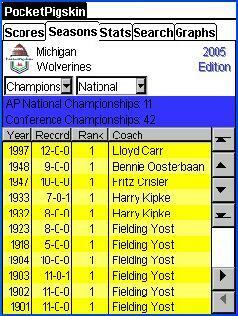 The summary section notes the number of each type of championship. 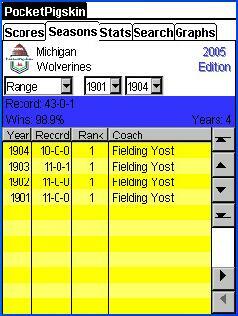 The details section displays the year, record, final ranking, and the coach for that season. 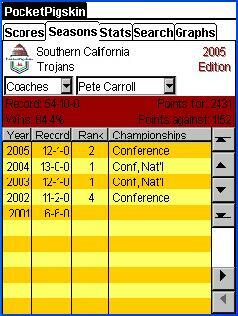 Review the records, ranks, and championship teams of every coach. Review a range of season results or an era of team history.